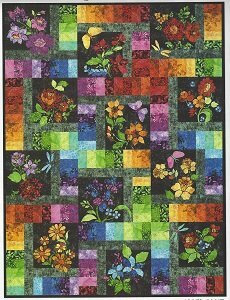 We have a gorgeous new block of the month starting in February, 2018, that combines piecing and fusible applique! The fabric kits are available now, but you will receive each month's pattern on the day of class. The pattern is provided at no additional charge each month, and you will receive your class discount on the fabric kit. Click here for the Enchanted Garden Block of the Month supply sheet.